Camp Heaven. This is a great 420 friendly campground for the ones who want to blaze safely in the Oregon outdoors. this place has a lot to offer. Call and check them out!! This is a great place to stay. All the fun of camping without all the work. Guests arrive to a fully-set-up, private camp site (NOT a camp ground ) in the woods that is rustic yet luxurious. 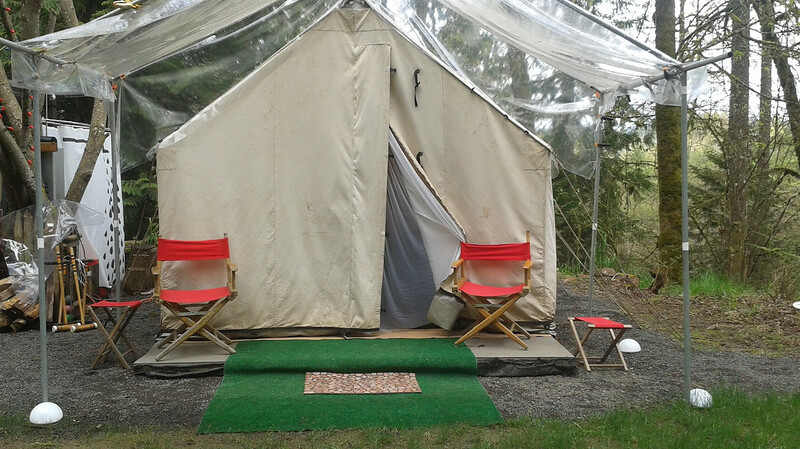 Camp Haven is a single luxurious campsite with wall tent. Privacy in the great outdoors! There are five private fenced and gated acres of trees and wildlife. We offer a great glamping experience with fluffy robes, slippers and spa-quality grooming products. On site, there is also a covered area that can be used for dining. The property has trails, a swing, a bridge and many areas to sit and enjoy nature. Have fun here on your cannabis holiday.